I am so excited I have just picked up two of my new Queensberry samples. Queensberry are a world renowned producer of exquisite wedding albums, and I am proud to offer them to my portrait and wedding clients. 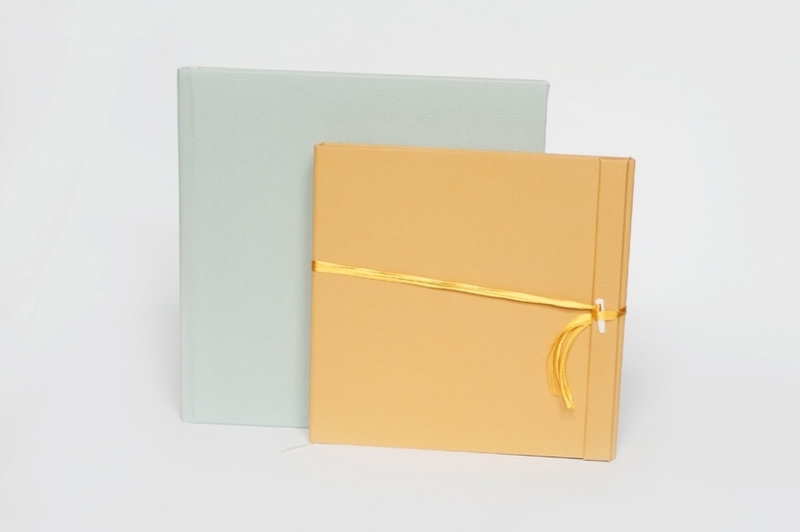 The following images describe my 10 x 10″ flushmount album (in duck egg blue) and a little 8 x 8″ press book with a micro leather cover in eggshell – the press book also comes with an optional mayu cover, mine is Kowhai yellow. The flushmount album is a beautiful heirloom piece popular with newborn and family portrait clients especially. The thick lay flat pages have an amazing feel of sturdiness and quality. The design is simple but conducts a full story of love.These have to be held to really understand the immense tangibility of the object. 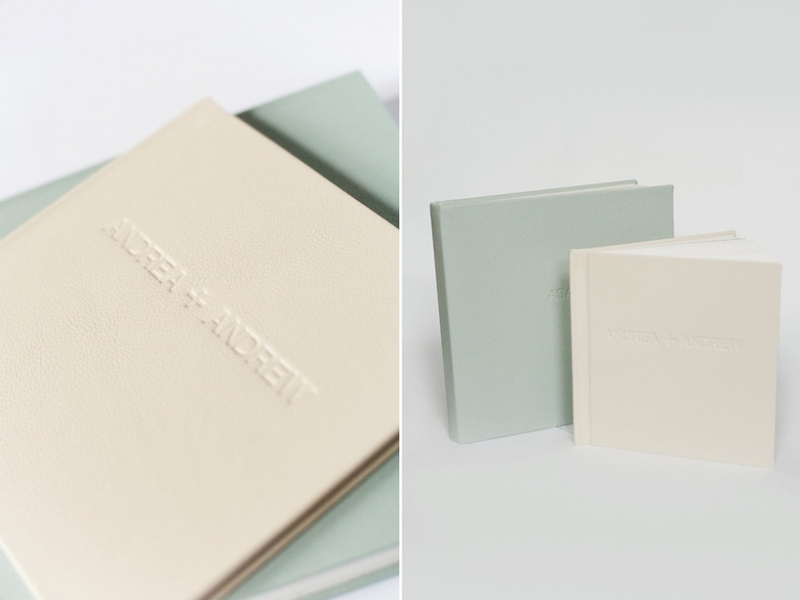 The pressbook is more of a coffee table style book, but with unrivalled print quality and luxurious photo paper pages, plus the beautifully soft micro leather cover. 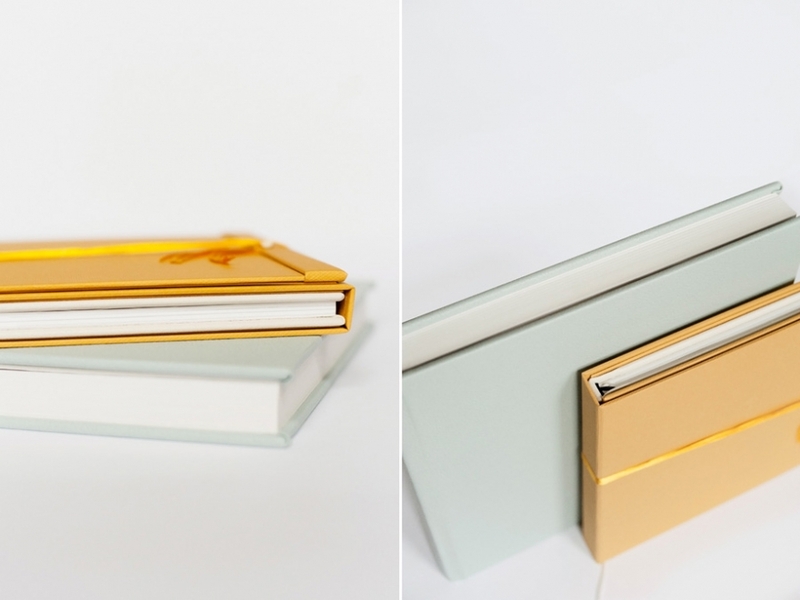 The mayu cover adds a touch of elegance and keeps your book safe forever. Both options are stunning for weddings or portraits – pricing information is available here.